Do I Need a Water Softener Living in Tampa? It would be easy to imagine that due to its freshwater resources, Florida is one of the top places with the best water quality for households in the United States. But although the Sunshine State does count with rivers, aquifers, springs, and groundwater infiltration as abundant water resources, the truth is that optimum water quality is not directly available to Floridian homeowners. But how does the city of Tampa stand on water quality? Tampa is actually the third largest city in the state of Florida with a population projection of more than 4.5 million people in 2017. This causes an increase in demand for water, most of which comes from the groundwater source that the state offers. This of course has an impact on the water quality that Tampa provides. Is Tampa’s water quality considered “hard” or “soft”? 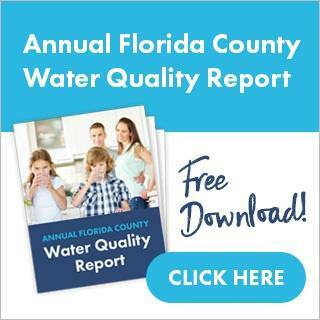 Tampa’s water quality is actually considered “hard” due to where its water supplies come from. The hardness of water refers to the amount of minerals in the water supply. Because 90% of Florida’s drinking water source is groundwater, that water travels over or through the ground, causing it to dissolve naturally occurring minerals such as calcium or magnesium. 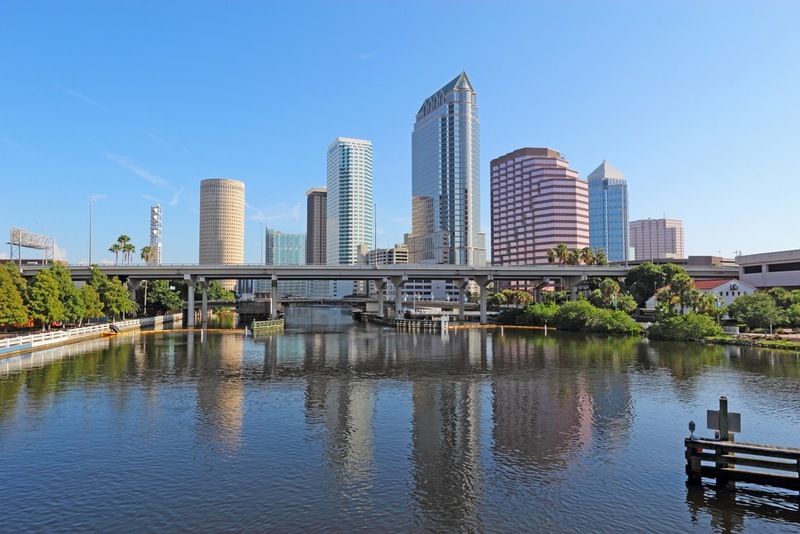 According to the United States Geological Services, the hardness of Tampa’s drinking water, primarily taken from the Hillsborough River, fluctuates throughout the year between about 140 to 300 parts per million or 8 to 17 grains per gallon (one grain per gallon equals 17.2 parts per million). Water is considered hard water at concentrations above 120 parts per million. Hard water in itself is not harmful since you may drink it and bathe in it safely. But, because hard water has a high concentration of calcium and magnesium, it can cause multiple problems around your household, as well as other aspects of your family’s health. As we covered in one of our other blog posts, hard water may potentially damage appliances, cause ineffective heating with water tanks, and cause health issues with your skin and hair. Hard water in a household will potentially cost you more money in the long run and hurt your budget once appliances start to fail because of the mineral built up that hard water accumulates. The answer to this question is a bit complicated. Although hard water is known to be safe, it is recommended to review four hard water problems you need to know before you make an ultimate decision based on the risk factors that hard water may have on your household and with your family. Although you do not necessarily need a water softener when living in Tampa, it is extremely recommended to install a system that provides your home with premium water quality. Not only will your family enjoy the benefits of having healthier hair and skin, but you will save money and energy in the long run without the need of excruciating maintenance. By installing a complete home water purifier, it is guaranteed that you and your household will not worry about the harms that hard water may cause. Contact Guardian Water Services for a complimentary in-home water quality test in order to measure the hardness level of your water at home and receive a $50 retail gift card of your choice!